There once was a time when nearly every gluten-free product tasted like a failed attempt to camouflage cardboard. Thankfully, that era has come and gone, and you can now find an array of gluten-free goodies around Chicago that are every bit as delicious as the flour-filled options you once consumed. Whatever your reason for going gluten free, you no longer have to steer clear of all your favorite foods. Sate your cravings by checking out these gluten-free indulgences that you’ll actually enjoy eating. Isn’t all hot chocolate gluten-free? Maybe. 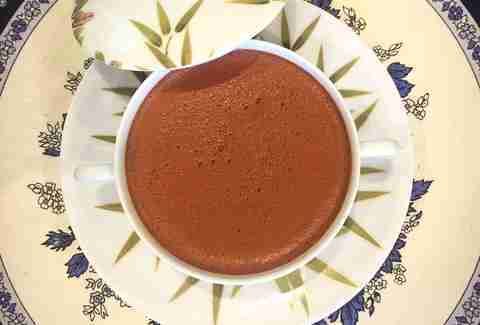 But we can assure you that not all hot chocolate tastes like Maison de Castelnau’s decadent, French chocolat chaud. Although this boutique bakery isn’t a gluten-free establishment, its thick, creamy drink is made from only two ingredients -- high-quality whole milk and dark chocolate. While your friends and family nosh on pastries, you can sip on this epicurean tasting chocolate. Its richness leaves you feeling satisfied, not deprived of the occasional indulgence. Nowadays, there are many gluten-free options on the market. But, it can still be difficult to find a classic chocolate-chip cookie done right. Enter Defloured, where you don’t have to settle when it comes to your beloved baked goods. With a yummy mix of moist, chocolatey sweetness, Defloured has managed to create a traditional cookie that tempts the taste buds of GF and non-GF peeps alike. This popular brunch spot has a separate gluten-free menu (as opposed to just a few items) so that “brunchers” don’t have to miss out on this weekend pastime. Loyal Tweet fans insist the pumpkin pancakes are a must-have item on the menu. They’re served with cinnamon sugar and whipped cream, so you won’t even think twice about what may or may not be missing from this dish. These sweet treats will exceed the expectations of gluten-free cupcake lovers around the city. The bakery only offers these mouthwatering delights on Thursday through Sunday, when they carry usual staples like chocolate and vanilla cupcakes. Depending on the chef, you’ll also find heavenly flavors, like Nutella (my personal favorite) or cheesecake, that will leave you wanting more. Be forewarned: Specialty flavors tend to sell out fast, so go on a Thursday or Friday if possible. 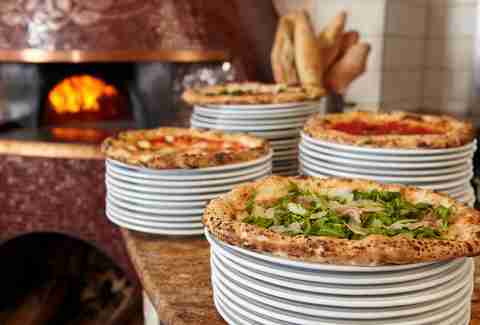 Tucked away in a cozy neighborhood on the North Side, Spacca Napoli offers a strong lineup of authentic, Neapolitan-style pizzas to please your palate. With traditional ingredients like tomato sauce, cow’s milk mozzarella, and basil, the Margherita pizza will make you think you’ve been whisked away to Naples -- even if it’s just long enough to have a meal. Plus, the restaurant can cook your pizza in a separate oven to avoid cross-contamination. One caveat: You can only place orders in person; Spacca Napoli won’t take orders over the phone. 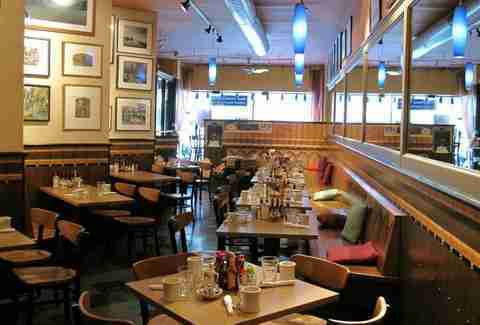 If you have Celiac disease, this place is your haven among restaurants. The owners understand the importance of maintaining a 100% gluten-free kitchen because they also suffer from this illness. Local gluten-free eaters recommend the brunch menu, including the favored Belgian waffles with fresh blueberries. It comes with your choice of house-made fruit compote, regular or vegan butter, and organic maple syrup. There’s no reason to ever have a blah waffle again. 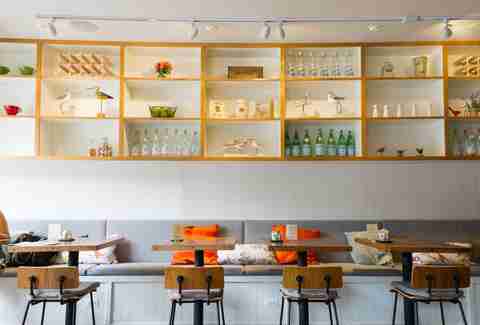 This Celiac-friendly restaurant takes gluten-free to the next level. They have a dedicated gluten-free facility and recurrently have the gluten levels in their dough tested at the University of Nebraska’s Food Allergy Research lab to ensure the safety of their customers. 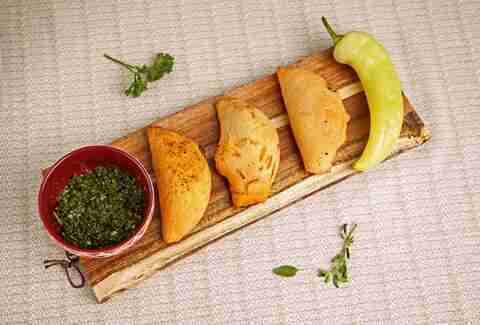 Their empanadas are created from cassava-root starch, and their beef and Cheddar variety is made with 100% grass-fed beef. Customers rave about the dense, doughy, and crunchy crust, which can be hard to pull off when you’re baking gluten-free items. Chicago has seen a surge in donut establishments in the past few years, but none do gluten-free like Do-Rite Donuts. Tasteless, dry donut, be gone! 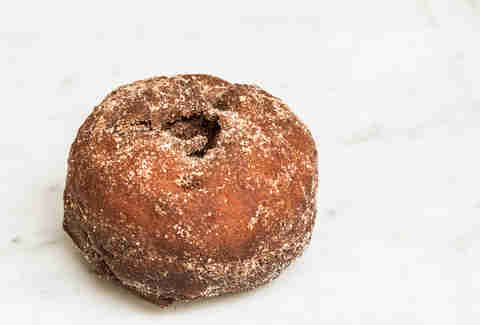 Do-Rite’s old-fashioned, ring-shaped cinnamon and sugar donuts are so damn good, you should budget for buying a second one. Pair it with a cup of Chicago’s Dark Matter coffee for the perfect dessert combo. Did you say coffee and chocolate? We sure did. 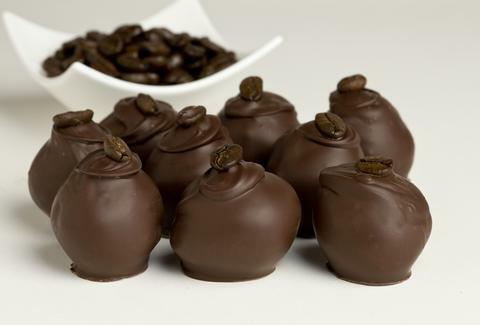 While a majority of the products in this confiserie are gluten-free, none are quite as memorable as a luxurious, hand-rolled and -dipped bittersweet truffle infused with Chicago’s Ipsento coffee. This charming neighborhood gem is a perfect place everyone can enjoy. If you’ve relegated your event or party life to one of dry cakes, or worse, no cakes at all, then you haven’t tried Elysia Root’s delectable red velvet masterpiece. 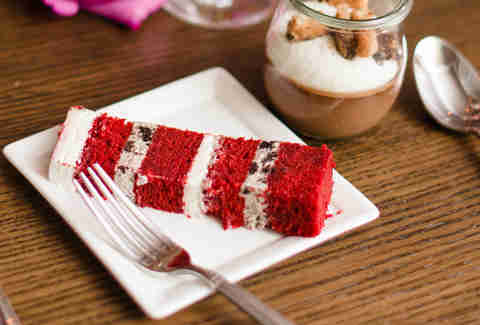 This cake is made from scratch and is wonderfully moist and flavorful. For an over-the-top experience, try it with the Italian, meringue buttercream icing. All of Elysia’s cakes are custom-made, and tastings are by appointment only. Chef Bill Montagne brings house-made pasta and Italian seafood dishes to Chicago. While it’s not exclusively a GF kitchen, four out of the six pasta entrees are available with gluten-free, corn-rice flour radiatori. With its fresh mix of textures and flavors, gluten-free pasta aficionados give high praises to the restaurant’s lobster spaghetti. Although the majority of Chicago’s gluten-free options reside on the North Side, Some Like It Black in Kenwood offers a variety of appetizing, specialty items so people from all over the city can come together and experience art and culture. 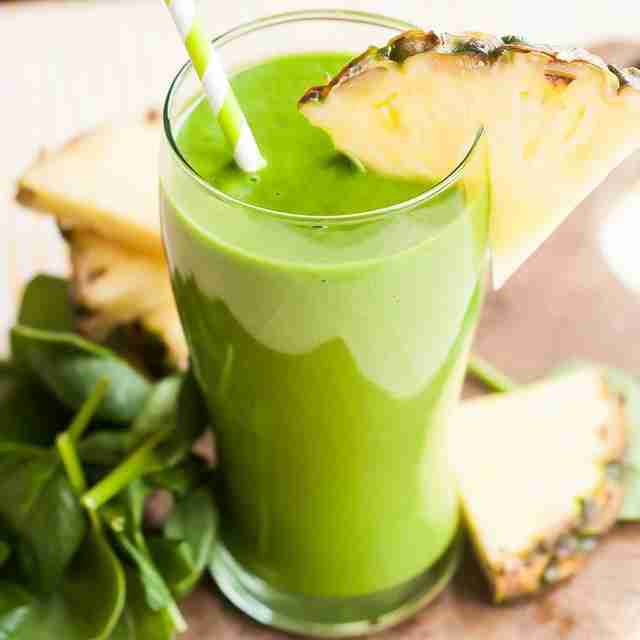 For gluten-free eaters, stick to the unique blends of smoothies and juices. With a creamy combo of organic mango, almond butter, and banana, their Indian Summer smoothie gives you your daily servings of fruit, while turmeric and ginger balance out the fruit’s sweetness with a little zing. Follow CheSa’s on Facebook to find out where she’ll be next. The food truck’s owner, Chesareé Rollins has struggled with gluten sensitivities since 2012. 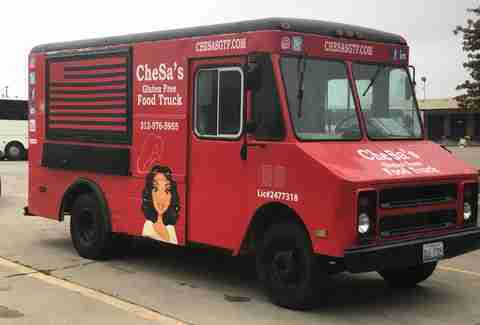 In 2016, Rollins began CheSa's Gluten Tootin Free Food Truck to help others with gluten-related health issues. Now, she serves 100% gluten-free food in a 100% gluten-free kitchen all over the city. Her loyal social-media fans exalt the taste of the All Hale Kale salads and the flavor of the pineapple and jerk chicken tacos. Finally, gluten-free fare from a food truck! That’s a win-win for us flourless folks. Jenny is a Chicago-based lifestyle writer and gluten-free enthusiast (who doesn't shame others for eating gluten). When she's not writing, she can be found searching for a cure for Lyme disease, watching independent films, and exploring Chicago with her husband and two rescue pups, Emmi and Opal.